A simple recipe doesn't mean bland. 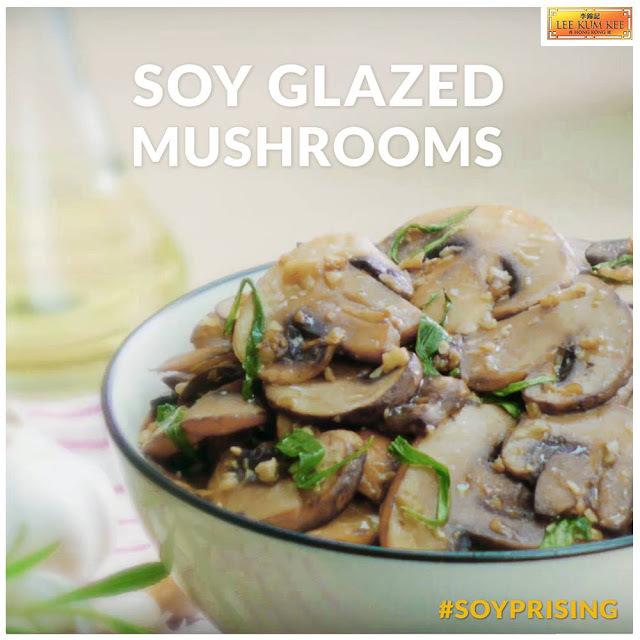 Bring out #soyrpising flavors with this easy-to-cook soy glazed mushroom. 1. Melt butter in skillet over medium heat. Add mushrooms. Cook and stir until the mushrooms have softened, about 5 minutes. 2. Stir in the garlic and continue to stir for 1 minute. 3. Add soy sauce, stirring until liquid has evaporated, about 4 minutes. Serve hot.